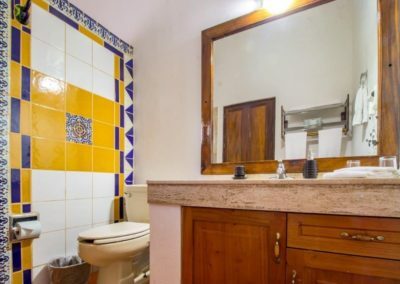 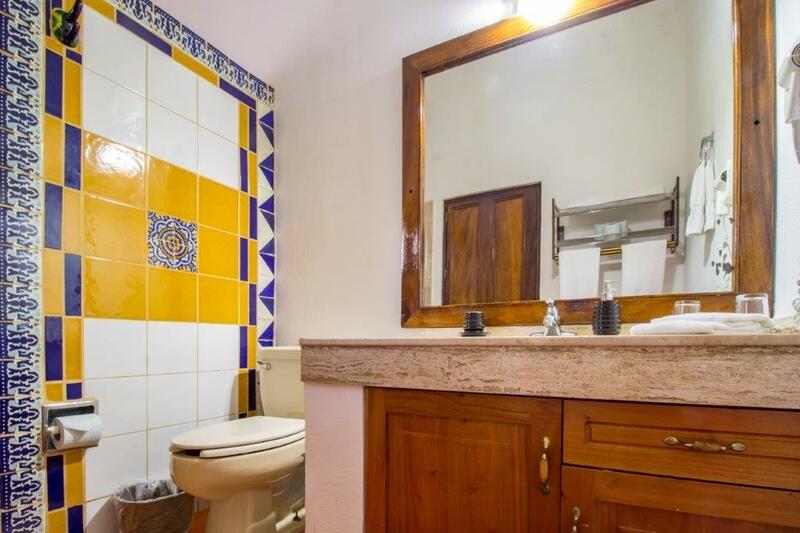 The large bathroom with shower has two vanities, one with Talavera hand painted bowl the other with a large mirror used as a dresser, both counters are covered with a pattern of hand painted Talavera tiles. 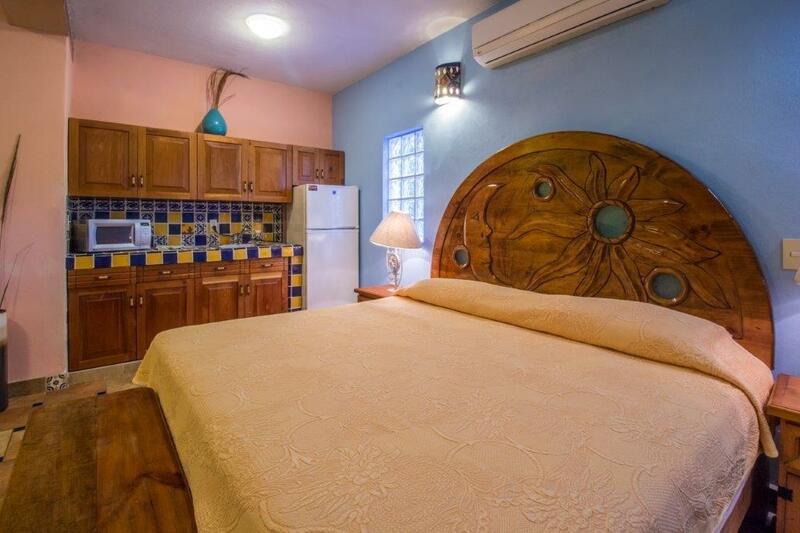 Walk-in closet and Kitchenette sure will give all the comfort you need. 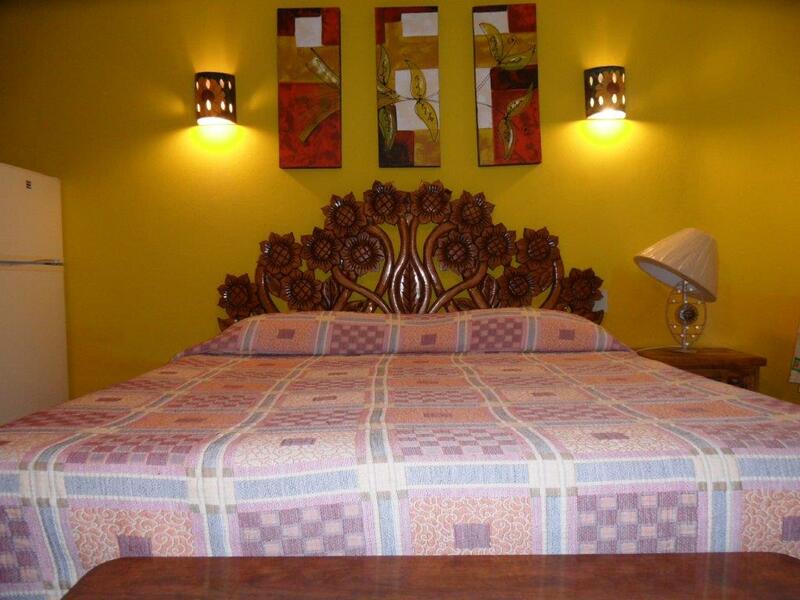 The King Size bed has a beautiful hand carved headboard that will sure add to the overall comfort. 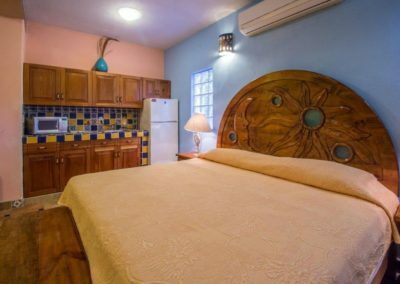 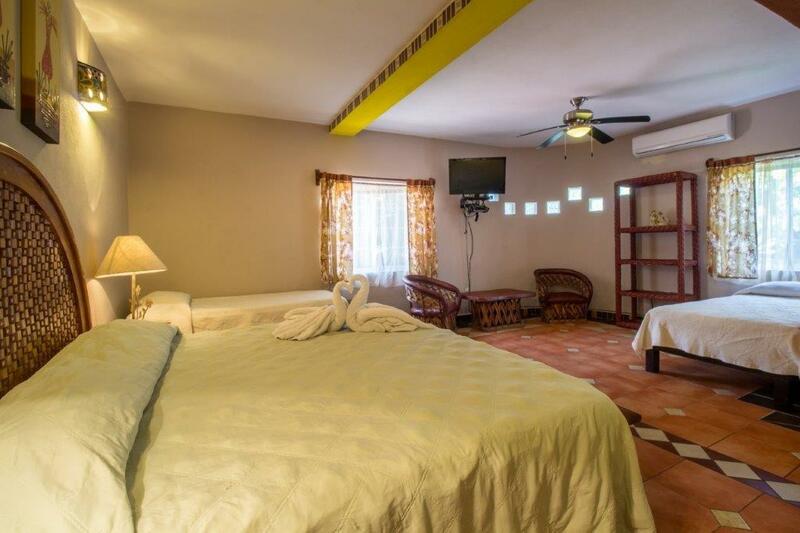 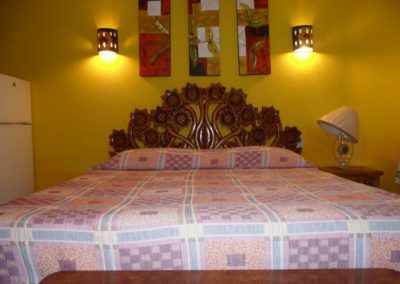 This room has a king size bed with large bath, shower and vanity table. It is cooled with a ceiling fan and air conditioner.